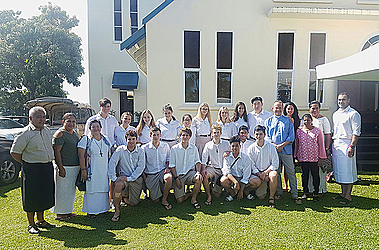 Twenty Year 13 students from Kings College, New Zealand are in Samoa to assist in a week-long after school programme at All Saints Primary School this week. The group arrived last Friday and it is the first time Kings College Community service chapel group has made a trip to Samoa. Yesterday, they were welcomed by the All Saints Anglican church community. 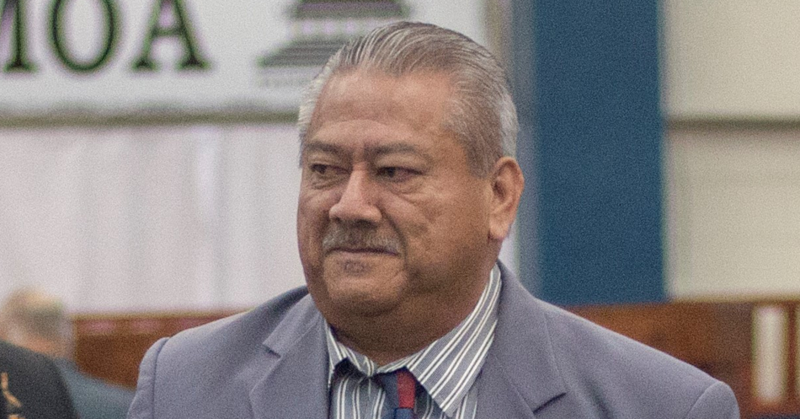 Leading the group of students on their mission is Reverend Warren Watson and the college’s Assistant Chaplain, Onosai Auvaa who hails from Alafua Village. “We have got 20 students from Kings College and they all volunteered for the trip to do two things: to serve and support and so we are going to be working at All Saints Primary School for the next five days – Monday through Friday. And we are going to be running a holiday programme for them,” he said. The students have prepared a programme for the primary school children as part of the servant leadership objectives of the group and the Assistant Chaplain says the holiday programme is open to any primary school children from other schools and religious denominations. Kings College is a prestigious private secondary school in New Zealand teaching students from the wealthiest families in the country. This is the first trip the group has made to Samoa and Auvaa says it will be an eye opener as well a welcome challenge for the New Zealand students who are in their last year of the college. “We’ve been in Samoa for three days now and they love it so far,” Auvaa said. “We have done a few site seeing activities that tourists do to give them a taste of the beauty of Samoa. Then tomorrow onwards we are going in the school every day. Onosai Auvaa is a former student of Kings College who also went through the same programme and has returned to the college to take up a teaching role and continue supporting the servant leadership programme. 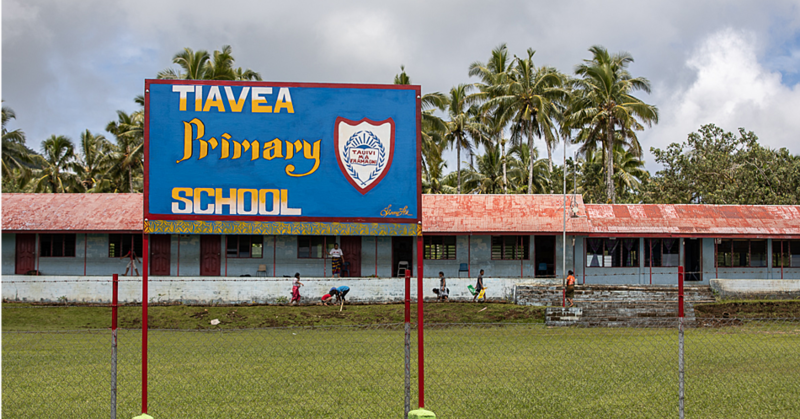 Reverend Warren Watson, who is leading the group, says they intend to continue these trips annually and strengthen the connections between Kings College and Samoa. Saints Primary School Principal, Rachel Hunt-Solomona is very pleased that the College students have offered their service at their school community. 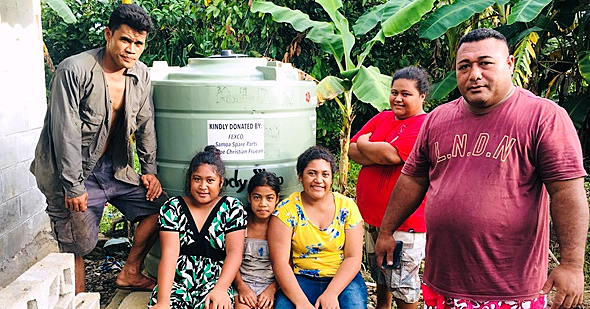 Mrs. Hunt-Solomona said their church and school community felt very blessed that the students from the Kings College group have also been fundraising for All Saints Primary School as part of their service.